2015 Christmas Giveaway Winners Announced! Mackenzie and I announce the winners of my 2015 Christmas Giveaway Bonanaza! 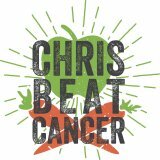 « The Chris Beat Cancer Christmas Giveaway Bonanza!